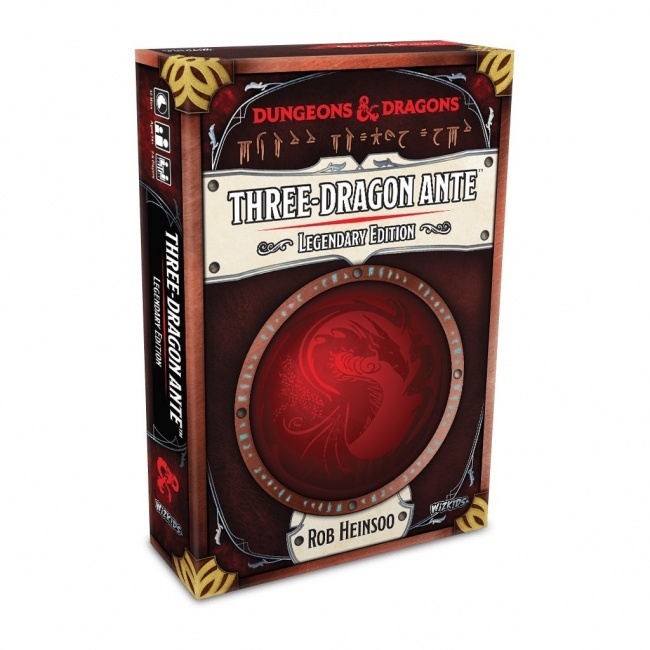 Rob Heinsoo’s card game Three-Dragon Ante is getting an update and a facelift from WizKids when it releases the Dungeons & Dragons Three-Dragon Ante: Legendary Edition in July. In Three-Dragon Ante, players play three-card hands in an effort to win the pot each round. But, playing weaker cards allows a player to activate their special effects, which can give them an advantage in the next round, forcing players to balance short-term gain and long-term planning. The player who can gather the most gold, wins. The new Legendary Edition will maintain the original gameplay while introducing a number of new features to the game. It will feature 15 new “Legendary Dragon” and 15 “Mortal” cards, add “gold” and “platinum” cardboard scoring tokens, and a set of Ability Disks that players can use to combine Three-Dragon Ante with Dungeons & Dragons. The game includes 100 cards, 90 cardboard tokens, 6 ability disks, and 6 reference cards. It is intended for 2 to 6 players, ages 14 and up, and takes about half an hour to play. MSRP is $24.99. 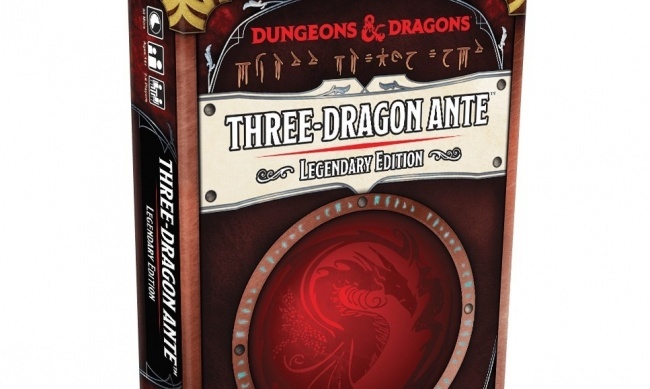 Three-Dragon Ante was originally published by Wizards of the Coast, including an upgraded version in 2010 (see “WotC’s Early 2010 Releases”).